Styleguide is a tool to make creating and maintaining styleguides easy. All you need to do is to add the Styleguide to a separate folder in your project. Use it as your CSS. You just need to import the generated file inside your HTML and you are all set! 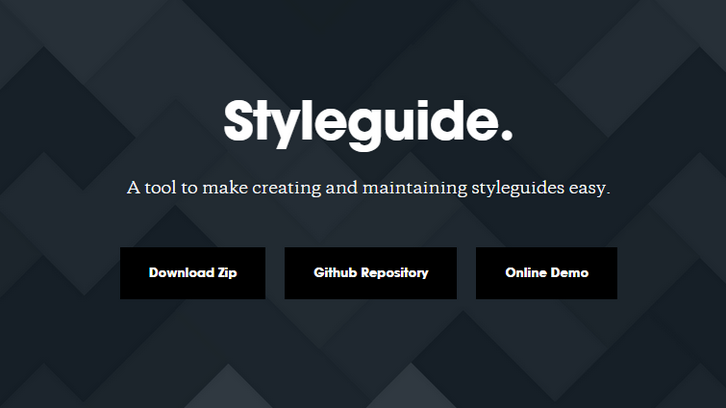 This way the Styleguide will be synced with your project. Isn’t that awesome!? Just copy your project’s CSS and paste it in the Styleguide CSS file. Now you only need to customize the modules to use the proper classes. You can always create/edit any module when you need. The Styleguide is also a independent project. You can download it and use it in your browser. Then all you need to do is edit it’s CSS and set/customize the modules. When you are finished you can send the files to a server or use the HTML version.